The December 2013 passing of Mike Hughes, "patriarch, president and ultimate creative leader of The Martin Agency," left an opening that agency principals knew could only be filled by one person. 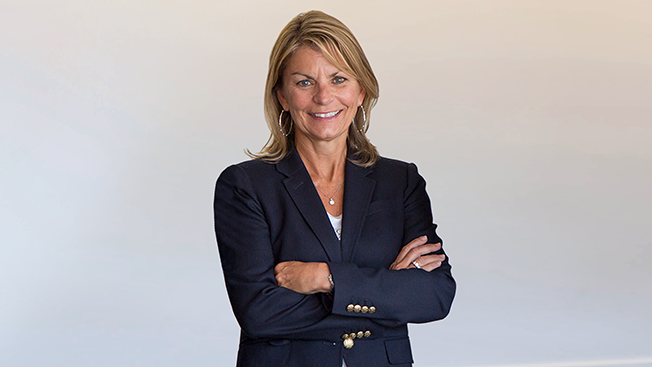 Today the Virginia-based IPG shop announced that chief operating officer Beth Rilee-Kelley has been promoted to president, effective immediately. She is the first to hold that title since Hughes' death. The 33-year Martin veteran started as an assistant account executive in 1983, was named partner in 2005 and became COO in January 2011. In the role, her expanded duties will include partnering with clients and working on Martin's new business initiatives. "It feels right," Rilee-Kelley told Adweek about her latest promotion, adding, "Mike is probably smiling at this one. His are some pretty big shoes to fill. He was my mentor and role model, and I worked with him for years in the creative department." She added that her partners, CEO Matt Williams and chief creative officer Joe Alexander, surprised her with the news. "If I had to pick one person who personifies The Martin Agency when we are at our best, it would be Beth," said Williams. "She is smart, witty, decisive and kind. I know she will excel as our new president." Alexander added: "Like Mike, Beth is an intuitive leader, an incredible listener and a great partner to our clients and our employees. We are lucky to have her. And I'm lucky to call her my partner and even better, my friend." Together, the three executives have logged a total of 83 years of tenure at The Martin Agency. Regarding operational changes in her new role, Rilee-Kelley said, "I have client responsibility now in addition to having multiple departments reporting to me including IT, operations and human resources. I started in accounts and worked there for 15 years, so in many ways this is also about me getting back to my roots here at Martin." While The Martin Agency remains best-known for its Geico campaigns, the shop's smaller New York office recently expanded its creative team and won lead creative duties for Kayak. The shop does not have additional staffing or business announcements at the moment, but Rilee-Kelley predicts more good news to come. She told Adweek, "I guess I'm excited for myself, but more than anything I'm excited for the company. It's a pretty great feeling for your partners to feel so strongly that they ask you to take this role on." The newly promoted president will report directly to Williams.